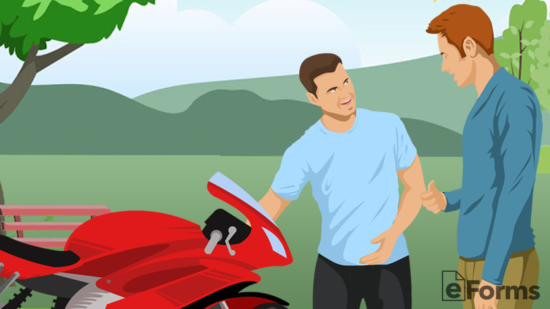 The Motorcycle Bill of Sale is an agreement that allows an individual to buy and hold a receipt after the transaction is complete which is required for the titling and registration. With regard to buyer’s paying in cash, this document will be the only paper document offering proof of that a legal sale and purchase has taken place that and the transfer of ownership has take place. The motorcycle will be sold in an “as-is” condition. If there be an inspection request, it must be completed prior to the completion of the sale. 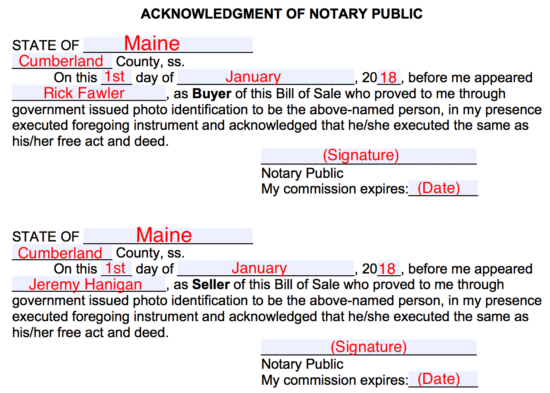 This document will require witness and notarization by a state Notary Public. 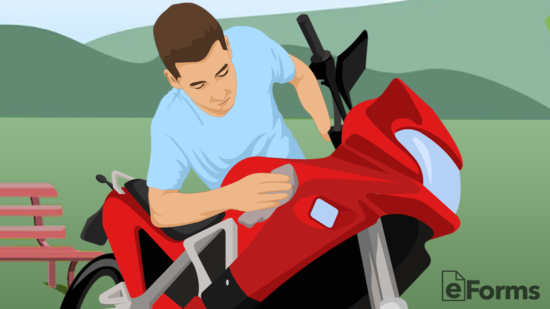 When is a Motorcycle Bill of Sale Needed? 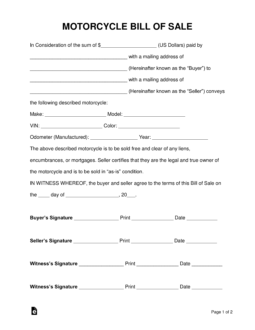 This form serves as a legal record of the sale, gift, or transaction of a motorcycle. It also contains valuable information that can be used to keep a detailed vehicle history record for future buyers. Some states and territories may require a notarized Motorcycle Bill of Sale before they will even begin title transfer paperwork (which you’ll also need to be the official owner of the motorcycle). When selling a motorcycle, it’s best to consider all options for marketing the bike in order to get the highest price. 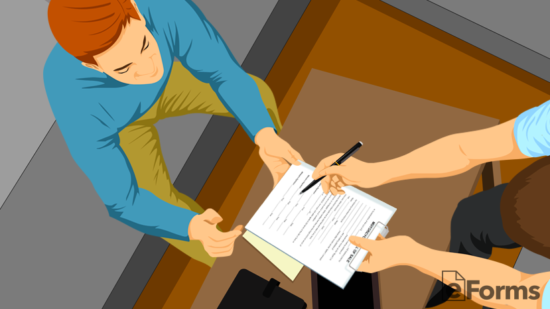 After a potential buyer is found, it’s recommended to negotiate the terms of the sale and sign a legally binding contract through the use of a bill of sale. 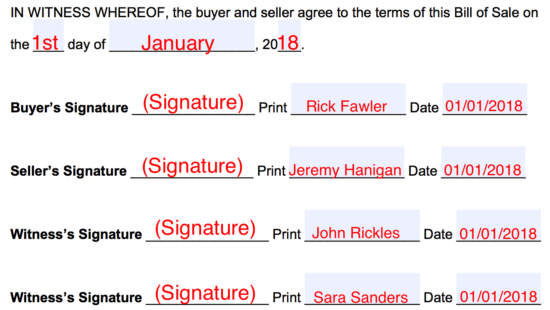 After the transaction is complete, the buyer will need the bill of sale in order to register in their respective State. It’s best to sell a clean and operating motorcycle. Therefore, it should be inspected by a licensed mechanic and touched up with any visible rust being painted over or sanded off. After washing the bike, it’s best to wax any visible finish with a traditional wax. Step 2 – How Much is it Worth? 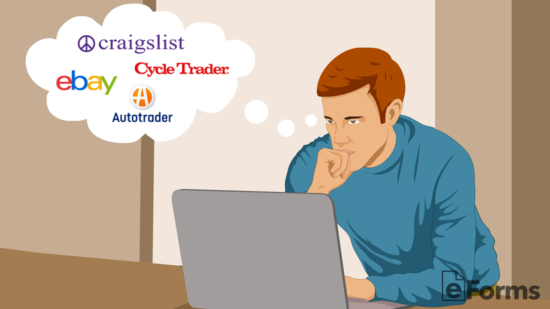 The best way to figure out how much a motorcycle is worth is by finding similar bikes that are for sale in your area and compare or by using a price estimator that can be found online. 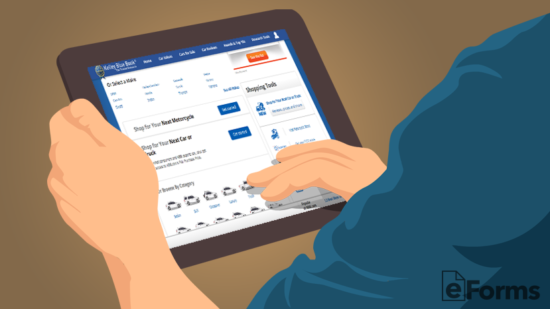 Above and beyond the best estimator is the Kelley Blue Book (KBB.com) although it’s always recommended to use all estimators available in addition to checking your local market. When listing the motorcycle for sale, it’s best to have it in front of as many eyes as possible. Therefore, the seller should take advantage of all online marketplaces, newspapers, and local classified magazines. This will involve the seller taking photos of the bike and gathering all necessary information that can be used in the marketing and promotional materials. When meeting with the potential buyer it’s best to show them the bike and possibly allow for a test drive if you feel comfortable with the person. The motorcycle should be in “showroom” condition which means it should be looking as best it can be for its current condition. In most cases, the buyer will be upfront about their interest in the motorcycle. If they decide to purchase then typically an exchange will open up on the spot and a price may be negotiated. If a verbal agreement is made then the terms of the transaction may be finalized through the motorcycle bill of sale. At the time of sale, the buyer will be required to have the fund in their possession in the form of a certified check, money order, or cashier’s check unless the parties have agreed to a wire transfer. 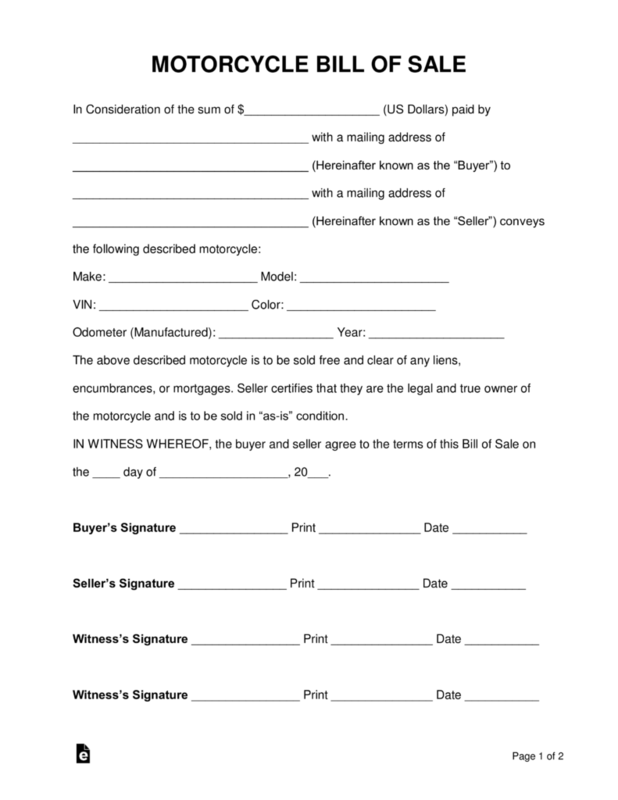 The seller will need to have the motorcycle’s title, registration, and both the buyer and seller will need to input the details into the bill of sale. After the exchange of possession has taken place it’s time to finalize the bill of sale. Both parties should present government identification and should be copied or photo taken (with a phone) to verify their signature. Afterward, the buyer will be able to complete the registration process in their State.